The final, thrilling instalment in this extraordinary series from bestselling authors Holly Black and Cassandra Clare. A generation ago, powerful mage Constantine Madden came close to achieving what no magician had ever achieved: the ability to bring back the dead. He didn't succeed . . . but he did find a way to keep himself alive, inside a young child named Callum Hunt. 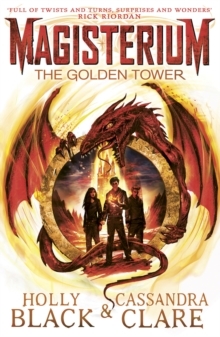 Facing up to what he is, Callum has battled chaos and evil across four years of magical training at the Magisterium, eventually defeating the armies of chaos in an epic battle. It came at a cost. Now, triumphant and heartbroken, Callum Hunt has just about had enough, and is ready to complete his training. But the evil Callum faced has not given up just yet . . .